What is Google Scholar and how do I use it? Google Scholar is a Web search engine that specifically searches scholarly literature and academic resources. But my teacher said not to use Google! How is "Google Scholar" different from "Google"? Google searches public Web content. Your teacher says "Don't use Google," meaning that you should not use the public Web content. Google Scholar is different. It searches the same kinds of scholarly books, articles, and documents that you search in the Library's catalog and databases. The scholarly, authoritative focus of Google Scholar distinguishes it from ordinary Google. So how is Google Scholar related to (and different from) the Library's databases? There is overlap between the content in Google Scholar and the Library's individual databases. Also, many citations in Google Scholar will link to full text in the Library's databases or in publicly available databases. But Google Scholar will not contain everything that is in the Library's databases. Google Scholar can be a convenient starting place, but it is not a comprehensive "one-stop shop." For more precise searching, more search features, and more content, use the Library's individual databases. How do I search and view items in Google Scholar? Searching is as easy as searching in regular Google. Start from the Library's Homepage to search SHSU's Google Scholar. Click on the Articles & More tab and locate the Google Scholar search box at the very bottom. Enter a search term or phrase, such as "bird flu." Like regular Google, Google Scholar returns the most relevant results first, based on an item's full text, author, source, and the number of times it has been cited in other sources. Some actions are a little different from regular Google: clicking on a title may only take you to a citation or description, rather than to the full document itself. Google Scholar will not necessarily get you to the full text of every search result. How do I find the full-text documents in my search results? To find the full document, look for (1) a PDF or HTML link to the right of the article title, or (2) an Online Resources @ SHSU link. 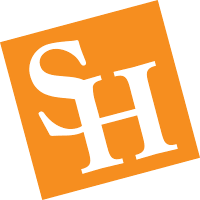 These links will help you find the full text of the document, either in a publicly available place or in one of the online databases offered by SHSU. If you don't see these links or they don't take you to the full text, you can contact the Library Service Desk for help in finding the article. Some documents will be unavailable online, but they may be available in the library building or through Interlibrary Loan. Keep in mind that Google Scholar is not perfect. For more precise searching, more search features, and more content, check out the Library's individual databases and online catalog.